The famous premium template creator Rocket Theme best free template is available for download at their repository. 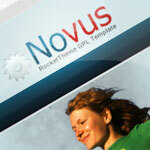 Novus is Joomla 1.0 and 1.5 compatible. Moreover, you have access to download the sources too! The author of Joomla Premum Themes blog at blogspot collected more than 350 premium Joomla themes and they are offered to download for free! You must see this collection! 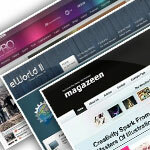 Imprezz: premium like, free, template was published: one for Wordpress and one for Joomla. The latter is based on the original theme that was transformed to fit Joomla. The quality is ensured that the theme was made for Smashing Magazine.